It’s the nation’s biggest and grandest tourism celebration ever. This is the perfect time to see, feel and experience all the endless possibilities about Malaysia as the year will be packed to the brim with non-stop festivals and events. (Jan - Dec 2014) Exhibiting numerous iconic artworks of varying genres and mediums from the permanent collection of BSVN. (2nd week of every month) The cultural crafts industry bazaar is a programme offering opportunities for artisans and craftsmen to showcase their works for promotions and public sales. (February 8, 2014) A programme that brings together people from all walks of life to celebrate Chinese New Year and foster unity and harmony of 1Malaysia. The programme includes cultural performances with traditional delicacies served to guests. (27 Feb 2014 – 08 Mar 2014) Asia's premier cycling event, Le Tour de Langkawi 2014 is back! 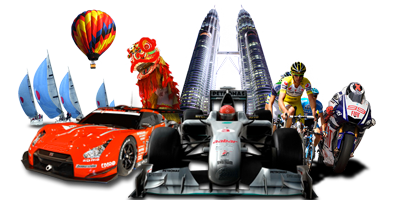 The race will go through states namely Perlis, Kedah, Perak, Selangor, Pahang, Terengganu and Kelantan. (Feb - May 2014) A collaborative effort between BSVN and the Singapore Art Museum (SAM), this exhibit showcases the finest of SAM’s post-millennium ‘Southeast Asia Contemporary Art’ collection. (19 Feb 2014) The Mah Meri community celebrates an annual day of special ancesteral worship dedicated to the ancestors of the sea. (21-22 Feb 2014) An estimated 2,000 superbikers from Malaysia, Thailnd and Vietnam will form a convoy of some of the world’s most powerful motorcycles through the state of Kedah alongside a host of motor-related activities. 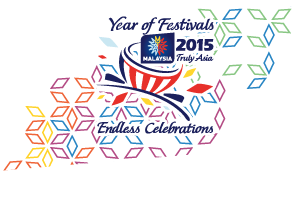 (Feb 2014) This festival features an assortment of activities following the paddy harvest season in northern Malaysia. These include the display of fish traps, public performances and traditional games.